New data from real-world analysis of secukinumab (Cosentyx) for moderate-to-severe plaque psoriasis indicates the therapy has comparable results to previous clinical trials, as well as benefits for improved quality of life. The interleukin-17A (IL-17A) inhibitor, which was the first of its drug class to be approved for plaque psoriasis in January 2015, has reported supplemental benefits in analysis from the PROSPECT trial—the largest prospective real-world analysis of secukinumab to date, presented at the 27th European Academy of Dermatology and Venereology (EADV) Congress in Paris, France. The real-world evidence of PROSPECT reported that 59% of patients at 24 weeks experienced little to no impact of their condition on their quality of life. Additionally, 87% of bio-naïve psoriasis patients remained on secukinumab through 12 months, indicating its tolerability in real-world settings. As the marketed therapy has reached 160,000 patients, the translated data provides comfort to both clinicians and patients. “In the everyday management of psoriasis, this provides added reassurance that with Cosentyx, patients achieve and maintain high levels of skin clearance and improved quality of life,” Richard G.B. Langley MD, professor of Dermatology and director of research at Dalhousie University, said in a statement. Kim Papp, MD, dermatologist and principal investigator of Novartis’ PURE study, added the company’s commitment to phase 4 trials and other real-world evidence provides dermatologists more opportunities to analyze everyday responses to psoriasis therapies. “As a clinician and researcher, I find it exciting and rewarding to contribute to this growing volume of real world evidence on Cosentyx,” Papp said. The new data reported at EADV served as an encore to last year’s meeting, when Novartis presented 5-year data from the phase 3 SCULPTURE study reinforcing secukinumab’s efficacy for long-term skin clearance, as well as safety. 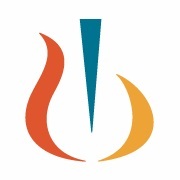 As the first and only fully human IL-17A inhibitor to show sustained skin clearance rates at 5 years in psoriasis-based phase 3 studies, secukinumab reported psoriasis area severity index scores of 90% (PASI 90) and PASI 100 rates at nearly 100% retention in SCULPTURE.